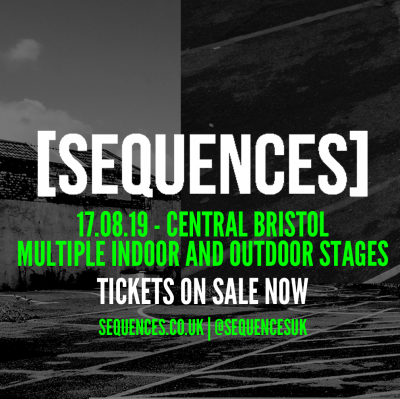 Two phases of the lineup has been announced with headliner, the legendary DJ EZ taking to the stage for his only Bristol appearance of the year with some big players in the underground urban music scene. Grime dons Jaykae and P Money, rising star Jossy Mitsu and UK drill’s golden child Headie One take to this massive secret warehouse space in central Bristol. 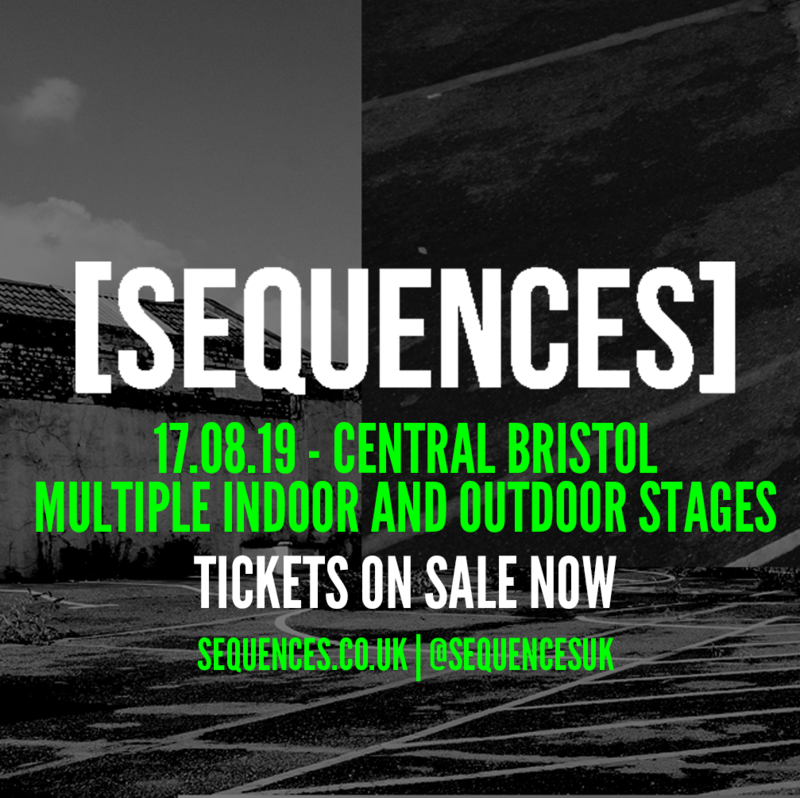 Sequences Festival favourites Critical Sound return to Bristol for their only show in Bristol this summer which sees a massive selection of DJs represent London’s most well-known underground label: Mefjus, Kasra, Halogenix and Levela are joined by hosts Jakes and Maksim MC for the first of our two label showcases. Making another heavily anticipated return to Bristol DEEP MEDi lay the foundations for all things 140 at this year’s party. Dubstep icon + MEDi honcho Mala gifts us a two hour set guaranteed to be packing the dubs, Bristol’s bass badboy Kahn and London 140 representatives Sicaria Sun are joined by Sun of Selah to make sure this year’s Sequences has all the boxes of bass music firmly ticked. The second lineup drop also saw Kings of the Shadows (Serum, Voltage, Bladerunner, Inja, Trigga and Bassman), the live spectacle that is Koan Sound performing their new Polychrome project, D+B king Hazard and Bristol’s own minimal D+B champ Kyrist confirmed for this year’s festival. This diverse span of bass and electronic music coming to Bristol has made the festival one of the must-go to shows this summer!